FROM BEING FIRED FOR TRAVELING TOO MUCH TO BEING ONE OF THE TOP TRAVEL BLOGGERS OF INDIA- THE JOURNEY OF NOT QUITTING! | A Soul Window - Top Travel Blog from India! 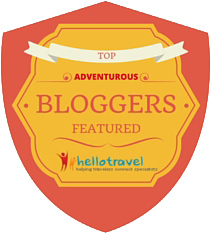 Today, they mention me as one of the Top Travel Bloggers from India. Here is the story most don’t know about! Most people quit their job to travel. I WAS FIRED FOR TRAVELING TOO MUCH in October 2014! Never mind, I used a big part of my saving and booked Everest Base Camp trek in Nepal the next thing. AND THAT CHANGED MY LIFE FOREVER! Some things happen for good! Past 3 years of joblessness and full time travel blogging has helped me grow exponentially on a personal and professional level. I used to travel a lot in my 7 years of corporate job in Navi Mumbai. I was stuck in a wrong job. It was my fault. I was going through a bad phase in life. I coined this word- Mega Blog two years ago. Here’s my new Mega Blog. This is my 165th blog and the only blog, I cried a bit while writing and going through old pictures. I have indeed come too far in such short span! If you know what I mean! I hope you enjoy reading this…. I wrote 11 blogs on Pushkar fair in Rajasthan in 2017. It was a solo budget trip! HOW TRAVEL SAVED MY LIFE! A personal tragedy (which I do not want to talk about more of) killed all dreams in me. Circa 2008: I was just 25. In an age when you day dream, I didn’t want a career. I didn’t want money. I didn’t want fame. I had suicidal tendency for most of those 7 years. My close friends and family knows it. I was the only one in my office who didn’t get a single promotion in my office. I made it happen on purpose! I just wanted to live a miserable life which has no growth path. I got it! I didn’t explain it to anyone. I still don’t. I agree I performed badly. That was a combination of constant battle with my internal demons and being stuck in a wrong job. So many of us are living dissatisfied because we did not know what we really wanted to do at the right age! My poor performance in office, combined with lot of ‘visible’ travels, didn’t go too well with my bosses and super bosses and one fine day I was shown the pink slip. I don’t blame them. If I were in their shoes, I would have done the same. In fact I am grateful to my ex office for tolerating me for 7 years! However, my life and attitude has evolved in past 3 years. I know, that if at all I join corporate sector again, I will be a sincere and hard working employee. Me on a solo trip to Australia. It was my first solo international trip and I was nervous as hell! All went well though! This is Lake Burley Griffin in Canberra! FROM A NOBODY TO ONE OF THE TOP TRAVEL BLOGGERS OF INDIA IN 2 YEARS! The last 3 years have been a roller coaster of a ride. It taught me many things and it made me stronger as a person. I even slipped in and out of depression many times during the initial days of being fired. After staying jobless in Mumbai for one year, I finally shifted to New Delhi region in November 2015. People think I made the shift for blogging which is untrue. Not many know that I shifted to start a food business which never took off. I didn’t want to sell meat and egg and that was a major reason for failure. No ‘Blood Money’ for me! However, even though I had just 5 blogs, I started getting lot of Media trips including an international trip to Jordan. My friends from the blogging fraternity Swati Jain, Manjulika Pramod, Dipanshu Goyal and Parnashree Devi encouraged me to work on a blog on a trip to Gunehar near Bir Biling. I remember, we didn’t sleep the entire night in the train to Pathankot. They encouraged me to improve the blog. I had only 5 unimpressive blogs till then. I was a part of a group called #TCB_Trips run by seniors like Mrs. Alka Kaushik and Ms. Puneetinder Kaur which helped me hone my writing skills further and guided me into blogging. Close blogger friends like Ami Bhat and Divyakshi Gupta helped relieve me of so many self doubts! And we discussed our life beyond blogging! I am blessed to find true friendship in the competitive world of blogging! Despite being one of the Top Travel bloggers and writers from India, these people are humble, secure, talented, hard working and most importantly, honest about their work. Perhaps, that is why we have such good equation! I have many more friends in blogging, mentioning all of which is cumbersome for both me and the readers. That said, I value the love and support of all the bloggers I have interacted with. Blogging gave me a chance to attend the Kumari festival aka Indra jatra in Nepal. She is the controversial living goddess of Nepal. THE DARK SIDE OF TRAVEL BLOGGING! On the flipside, I also endured the negativity from a certain section of senior and contemporary bloggers. Apparently, they had a problem that I was rising too much too soon. I was subjected to direct and subtle attacks. I had tasted professional success for the first time in my life. Never having dealt with such situations before, I didn’t know what to do. It broke my spirit. I wanted to quit blogging too. I had even thought of my last post and a tagline-The view from my #SoulWindow is closed forever! This was not why I started traveling! Traveling is pious to me. Travel had saved my life and gave me a purpose! I didn’t want it to be affected by politics and one-upmanship. In an age where travel have become a competition and who is better than whom, I make conscious effort to save travel for me. I continued hesitantly and my growth path only gained newer heights! I am grateful that I have more real friends in blogging than bullies! And that’s what keeps me going! That is what matters! It is tough to achieve success on honesty and principles! I am glad I didn’t bow to any pressure and made it happen!Since past 2 years, I have cut all connections from people who gave me negative vibes. Life is better and I can focus on my work. I do not want to prove anything to any one! That robs the joy out of travel! However, I will never forgive ‘those people’. They killed my innocence forever! It is hard to believe but even at 33 I had retained a certain je ne sais quoi innocence and carefree personality rare in this age group. My office folks used to love my bindass nature who always spoke politically incorrect things with effortless humour. When you are not running after name, fame, money you are cocooned from the big bad world! Life indeed changed too fast in short span of time. Nothing will be the same again! And that is what makes me sad at times! SHORTCUTS WILL NOT HELP YOU AS TRAVEL BLOGGER IN THE LONG RUN! I see people gain overnight success in travel blogging by buying followers and even likes and comments. They have no passion for travel and will not last long! I am proud of the fact that I have managed to blog with dignity. None of my followers are fake. And only a person who has no fear of ‘being exposed’ can talk so confidently about it. I do not even know how to buy followers and what is the going rate? I depend on my talent which I built over last 18 years and not on a fake manufactured buzz around my blog. Even if I buy followers it will never make me happy. The happiness which real engagement brings to table is unparalleled! Yes, I do my own marketing gimmicks to reach out to more people. But there is a huge difference between marketing and fooling your readers. I want to stay true to my readers! Yes, I want more people to read my blogs, but I want to take a dignified path to achieve that. I do my own thing and have no intention of running in the rat race. THIS IS NOT WHY I STARTED TRAVELING IN THE FIRST PLACE! Be it any field in life, We should never forget why we started! My tip: When in doubt, go back to the roots! It will clear many things for you! 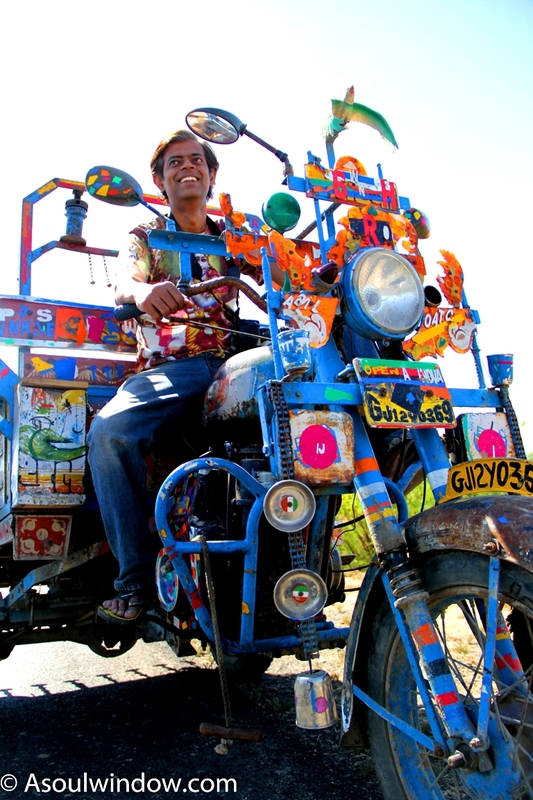 Me on a solo budget trip to Pushkar fair, Rajasthan. This was clicked by a French tourist! For a year after shifting from Mumbai (I still miss Mumbai, my soul city, every day), I lived at my brother’s place in Ghaziabad and worked on my travel blog. Swati spent 2 months explaining me the difference between hosting and domain name, haha! I didn’t know how to make a blog look presentable and that’s when Rajiv Verma stepped in. He develops websites and blogs professionally for a fee. A casual chat with him led to the final look of my blog. This changed many things for me. Now I know the basic technical ropes of blogging. I always suggest aspiring bloggers to get in touch with him for setting their blogs up! We started as professional associates, today Rajiv is one of my best friends from the blogging fraternity! I moved out in my own flat in January 2017. What followed was an eventful year of travels, rewards and recognition. Within a year I was interviewed by the leading newspapers (print and online) such as Times Of India, Hindustan Times, Indiatimes, I Diva and many travel websites. 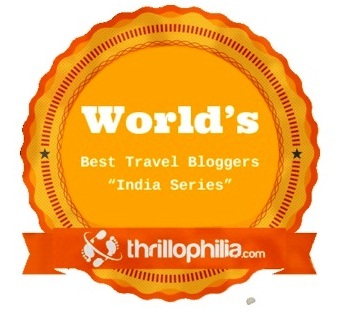 More than 11 reputed websites like Skyscanner, Thrillophilia have listed me as the top Travel Blogger from India. I recently completed 18 years of writing for leading magazines of India. I used to write for Filmfare earlier. In past 3 years my articles and pictures have been published in National Geographic Traveller Magazine, Lonely Planet Magazine India, Mint, Jet Wings, BBC, Shubh Yatra, Pudhari and others. 4 of my cover stories got published in magazines like Railbandhu, Go Getter (Go Air’s in flight magazine). I was invited by tourism boards from Canberra(Australia), Sharjah (U.A.E.) Jordan, Indonesia and closer home Uttar Pradesh, Madhya Pradesh, Karnataka, Punjab and Goa etc. And I put in A LOT OF HARD WORK to arrive here. There is a lot of sweat, tears and grime behind the glamour! Success doesn’t come easy!For anyone! From my trip to Munnar with parents. It is in Kerala. I AM THANKFUL TO WHAT TRAVEL BLOGGING GAVE ME! 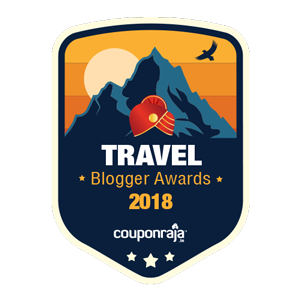 Travel Blogging also gave me ample opportunities such as a Hot Air Ballon ride near Taj Mahal, stay in luxurious 5 star resorts, hob-nobbing with celebrities and top authorities, the press pass of prestigious events such as Naropa festival in Ladakh. It was a dream run which still continues. All of this was organic. Now I also pitch collaboration ideas to brand, but still a major chunk of my assignments are organic. However, that said, travel blogging is not a bed of roses. If you are good, it gives you easy access to one of the finest experiences in the world which I could not have dreamt of affording ever when I backpacked for 7 years on low budget (Like INR 200 a room). People ask me how did I achieve immense success in such a short span of time? How come suddenly I AM EVERY WHERE? Most see awards and accolades. Today I want to share the hard work I put in each day! In January 2018, I completed 18 years of writing for leading magazines of India. In January 2018, I also completed 10 years of independent unassisted travel. I am 35. I started young! Year 2008: Love, sensex, career and dhokha darling! In my ex office. So many of us are in the wrong jobs! If only we had the right guidance at right age! I spend more than 16 hours daily finishing my writing, editing pictures, replying to mails, making videos and assignments. I have no Saturday and Sunday off. It tires me. On days I want to have a week long digital detox. But I can’t afford it as my work is dependent on social media and blog. I left a 5 days a week job to do a 24 x 7 x 365. Who is saying, I am having fun, eh! But I am proud of what I have achieved in such a short span of time by honest means only. There were temptations to use short cuts and dishonest means, but I knew quick success built on dishonesty will never make me happy! Slow and steady is my mantra these days! THE HARDSHIPS OF TRAVEL BLOGGING! Travel Blogging does not pay initially. Articles published in print gives you the kick but remember, those does not happen every month. Not all the brands who take you on a sponsored trip pay you either. I have recently started to decline tours if they are unpaid or are not good enough. Also, it was my dream to travel non-stop for months. I did that from August to November and trust me it’s no fun. I lived my fantasy of living off a suitcase but at the end of the day, I was tired. I had started to feel a place a little less and I constantly craved for a ‘home’. Too much of anything is not good. Fame and exclusive opportunities apart, I had not earned much money in my first year as a travel blogger and have been able to sustain due to support from my family. My parents have been very supportive of my dream. They never questioned me. They kept offering me money, which I always refused, much to their chagrin. I have started earning well from my blog and other sources now. But the journey would not have been possible if I did not have 2 years worth of saving. I was clear that I do not want to take money from my parents to make it happen. I am glad that is how it turned out in the past 3 years. I lived on a low budget and made it work! Traveling with my parents in Gangtok, many of my close friends tell me I have the best parents. I agree! The future of travel blogging seems bright. Tourism boards and travel brands are waking up to the advantage of hiring online media partners/influencers and many of them are willing to pay handsomely for campaigns/content creation etc if you have the quality and reach. Internationally, it’s a norm to earn BIG money out of blogs. In India, the trend is picking up gradually. 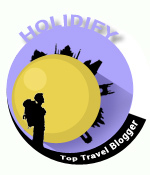 I feel very happy when I see new travel bloggers from India. Because that gives the #IncredibleIndia campaign a push. It is a healthy sign for India’s tourism sector. My suggestion to those who dream of quitting their job for travel-Don’t! One can travel along with a job, if managed well. And traveling non-stop is a false dream. One should quit only when one has a reliable fall back option and a plan B at hand. I was not ready for a freelance life because unlike most I did not quit my job to travel the world but was fired from my job. I had no option but to keep swimming in rough waters. I learnt my lessons the hard way. Right: In my corporate office. Left: In my new offices! I enjoy blogging and the instant feedback it gets you. Maybe in future, I will start a business with my savings and loan so that I can earn big money and travel more internationally. Or who knows some bigger opportunity comes my way! I was surprised to see phallus symbols painted on the walls of home near Chimi Lhakhang in Bhutan. I DIDN’T QUIT JOB TO TRAVEL THE WORLD! I WAS FIRED FOR TRAVELING TOO MUCH! A little background: I started working in 2008 in the operations department of a stock-broking firm. I also started traveling since 2008. However, I didn’t perform well right from the beginning for the reasons mentioned above. I found the work very boring and uncreative. My performance started to deteriorate further once I started to travel more. I would be day dreaming about my next destination when they would assign me a project. Years 2008. My first year in office! Me (in red) and my office friends. I miss these people and those times! Even though I performed badly, I made some long lasting friendships! The tensions at the office had been brewing since a long time. Then came a tipping point when neither me nor my office could stand each other. Many arguments followed and I knew something bad was on its way in the appraisal cycle of 2014. I anyhow booked a trip to Bhutan (Perhaps in search of happiness) just a month prior to getting fired. Why I was fired? That’s hard to answer. 7 years of love hate relationship is hard to sum up in a blog post. But most of it can be blamed on me and my insatiable hunger to travel all the time. There was a joke in my office, “Abhinav is coming back on Monday. Which Monday, no one is sure about.” My ex boss named me, ‘Ghoomta heera’ (I don’t know how to translate this). My juniors called me, “Full enjhoy sir” Today, I take the responsibility of it all. Year: 2008. The year I started working ever. Me at my desk in my first and only full time job! Putting myself in the employer’s shoes, I know it can be irritating that the junior is having more fun than the boss. Some of my ex bosses and super bosses were supportive (and understood my dream silently) but my immediate bosses were not very kind to me, sometimes even spreading false stories woven around my travels in the office. This angered me and I rebelled by not co operating. Also more than my actual travels, it was my day dreaming which led to my unceremonious exit. Year: 2012. Who says I never performed in office? Lol. Me as a rakshasha and Deepali Kudtarkar as an apsara. We did a superhit fashion show on Samundra manthan in the annual Deepavali Mahotsav of my office! Deepali is another adventure traveler I admire! I used to ALT TAB between Wikipedia page of say, Asoka the great and a dull excel sheet. I also used to clandestinely write travel memoirs (for myself) during office hours. I heard Indian author Chetan Bhagat has a similar story of how he wrote 5 Points Someone. I just could not concentrate on those murderous excel sheets, perennially planning my next trip in my head. I have no complaints from my ex office. None of us were wrong, we were just different. Year: 2013. Mumbai gave me zilch professional success. But I love it the most. Delhi gave me amazing success in 2 years. I am still unable to love the city. And that’s the current tragedy of my life! I miss Maajhi Mumbai everyday and wish I could return! Personal reasons stop me! DID I HAVE A BACKUP PLAN WHEN I TOOK TO TRAVEL BLOGGING? Like other travel bloggers, I didn’t ‘quit my job to travel the world’ (with a plan). It took me some time to come to terms with the fact that I had been fired. Suddenly, I didn’t have a routine. In my 2 months notice period, I sat at home and applied at jobs on online portals half heartedly. I even appeared for interviews in some financial firms. Once when I commuted for 2 hours in the jam packed local train of Mumbai to appear for an interview in Malad, I was praying that I don’t get this job. Because, it was too far and the job profile was dull and depressing. Not again! OOPS! I SUNG A TRAVEL SONG IN A JOB INTERVIEW IN A FINANCIAL FIRM CALLED HDFC! BUT THEY WERE NOT ON A HUNT FOR ARTISTS! This was one of the incident after which I was clear that I did not want to give more interviews in corporate, definitely not in the field of finance. January 2014. Seems like I had a premonition I will be fired, haha! Tough Times ahead! Pic by: Vipul Sinha. Statuary Warning: Smoking is injurious to health and this post doesn’t promote it! After initial euphoria, I slipped into a week long depression phase, behaving weird (Staring at walls for hours and eating little) and freaking out my friends. Initially I used to cry in night. Soon even the tear dried up and I was on the verge of insanity. However I got immense moral support from my close friends in Mumbai and from my family in Lucknow and Noida. It was not at all easy to try to stay afloat when I was drowning. But I managed to get back my cheerfulness. Now I am very positive and upbeat about life. Suicide cancel! Year: 2012. I wish I could get this counted in my appraisal. WHAT CHALLENGES DID I FACE IN THE INITIAL MONTH OF TRAVEL BLOGGING? In the initial months of travel blogging, I depended solely on writing and photography assignments for my income. I even served as photographer at rich people’s birthday and marriage anniversary parties for a paltry Rs. 3000 a day wage. I remember, I used to reach home at 2 a.m. and my legs used to pain. Year: 2012. Me and my Soul Window and lots of silent conversations! Statuary Warning: Smoking is injurious to health and this post doesn’t promote it! I hated it but I had no option then! It was difficult to come across freelance work initially and even if it did, the payment was often delayed and erratic. I was mostly surviving off my savings. I just didn’t know how to earn good money out of freelancing. I shifted from my sea (OK, just a flicker of it) facing apartment in the salubrious part of Navi Mumbai to a budget housing in a ghetto to save costs. I even cut down on eating out and partying and started cooking (pathetic) food myself. It’s hilarious how even my college juniors are busy getting married, making babies , buying apartments (they have no time to stay in) and expensive cars (and be stuck in long traffic jams) while I started my career afresh at the age of 33. 27th September, 2015. My last day in Mumbai. This picture always makes me gloomy. The best of the pictures are imperfect! WHAT KEPT ME GOING DESPITE ALL THE STRUGGLE IN THE EARLY DAYS OF TRAVEL BLOGGING? My family was emotionally blackmailing me to take financial help but I wanted to make it on my own. Just as I emerged from the depression, I booked an Everest Base Camp Trek in October 2016, exactly an year after being fired. That changed my life. I blowed up a sizeable part of my saving in living my dream. Before that just a month after being fired, I did a budget road trip to villages of Rajasthan. And in April, the month of my final appraisal, I was in Bhutan with my parents. I somehow knew about bad things to come and it bothered me during the Bhutan trip. I wrote about it an article in Lonely Planet Magazine India as well. All of these were my most memorable trips. Year: 2010. Me on Christmas day celebration in my office! Don’t go by the smile please. I was having a tough time in my head! I AM GLAD THEY FIRED ME- HOW I LIVED MY TRAVEL DREAM! Not being attached to a desk job liberated me in ways I couldn’t have imagined and I was able to enjoy my solo budget travels with more freedom and abandon. I had never felt this free before. And today am glad they fired me. What kept me going was this stubbornness to live life on my terms, pay huge price for it and yet determined to achieve my life goals. Year: 2011. I miss those carefree moments I used to steal during my 7 years in Navi Mumbai. I have come to terms with the fact that those golden days will never come back! It doesn’t promote smoke or booze. Also, what worked in my favour is that I like to live simply. Though brought up in the lap of luxury, I never really crave for it. I can live without many modern day trappings without a complain. For the past 10 years I have led a minimalist lifestyle. I can still pack all my belongings in few bags. I did miss air conditioning after being fired from the job. However, I adapt easily, as they say, I am jujharu. I used to keep a towel on my desk to wipe the sweat every 10 minutes while I wrote blogs in summers of Mumbai and Delhi without AC. I have shifted homes many times in past 3 years and lived in the home of friends like Amit Manral to save my costs and to sort my life. I am indebted to Amit and his wife Kavita for offering me stay and (delicious) food for a month in Noida, no questions asked! Pretty much like Ranbir Kapoor of Rockstar, haha. I was on the verge of taking shelter in Nizamuddin Dargah, lol. For many months, when I lived alone my daily routine was – Cook three trashy meals (I am a pathetic chef), buy groceries, maintain kitchen (and fail at it! ), broom and wipe floors, wash clothes by hand and if time allows, blog a little! It was tough! It changed the way I look at homemakers! Huge respect to all the moms who do it without complaining. I found domestic chores to be one of the hardest things I did. It was even harder than the Everest Base Camp Trek, haha. Hats off to Crores of home makers who sustain house work for months and years with an unfailing smile but without salary ! From a sea facing apartment to a chawl, I have enjoyed living in all the homes life took me to. IT TAUGHT ME INVALUABLE LIFE LESSONS! There have been many days when I have worked non stop for 24 hours. Yes, I worked till 5 a.m. and slept at 6 a.m. to finish assignments on time! It was tiring and I would be sleepy and all zombied out! I have slowed down now. After getting into blogging, I realized I am a workaholic if I like the work I am doing! In my corporate job I used to run away from work. I found finance too boring! It works for some, not me. Year: 2012. Behind the scenes of my performance as asur in the annual Deepavali mahotsav at my office. Pic by: Prakash Byale. Statuary Warning: Smoking is injurious to health and this post doesn’t promote it! Year: 2008. Me at my office cafeteria! However, I don’t think I can go back to a desk job in the field of Finance ever. I have nothing against people who are happy in a 9 to 5 job in Finance sector. I don’t even look down upon them or call them modern slaves anymore. It is their choice in life. I am not a travel snob. January 2015. I spotted many demoiselle cranes in Khinchan, Rajasthan! WHAT IS MY LIFE AS AN ESTABLISHED TRAVEL BLOGGER LIKE? It took me an entire year to figure out how things work in the business of travel writing. From October 2014 to April 2015, I had only 5 blogs which no one read. In this ‘Dark Phase’ I tried to make ends meet by doing freelance assignments. However, I was not at all happy with doing food shoots/weddings/ostentatious birthdays of middle aged rich men. I enjoy travel photography and writing but it is hard to earn through that. I used the time to hone my writing skills, meeting with like minded people, write for reputed online and offline publications, producing quality content on my social media platforms. Presently, things are looking up on my travel front. I have been able to make my name in the travel world in my own small ways, having been mentioned as one of the best twitter handle by Hindustan Times, interviewed by Times Of India’s print version, magazines publishing cover stories by me, guidebooks hiring me as main photographer. However off late I have realized that I need to diversify so that I can earn apart from travel. It is important to keep my passion for travel alive. My savings trickled fast and thankfully things fell in place before I went bankrupt. I spend my days on working on these and marking the mails for job portals offering me finance jobs as spam. I just can’t put a stop on my travels. The view from my #SoulWindow is life changing! Travel Mistakes- Solo Travel in Gujarat Gone wrong! Year: 2011. My act as Chulbul Pandey was superhit during the Bollywood themed fashion show of the annual Deepavali mahostsav in my office. I got many whistles. They refused to consider it in appraisal though! Year: 2008. That smile though! This was very inspiring!!! Especially as a new blogger myself. LOVE your photos too! I NEED to see India! Quite a story! So interesting to read how you became a travel blogger and it just shows if you want something bad enough you will get it with hard work. Anything is possible! Good luck with the rest of your journey. You’ve lived a very exciting life (good or bad) and I’m sure that travel blogging hasn’t always been easy. Your pictues and story is very nice. I don’t know much about travel blogging but thanks for sharing. India is beautiful. No one becomes a hero overnight. And if they do that success is always short lived. I have believed this and stand by it. Hardwork will always pay, if not today , some day. It is very easy to sit and comment on people’s journeys but only those who have lived it through hardships know the truth. Just keep doing your work and magic will happen:) that’s my motto. I wish you many more accolades Abhinav 🙂 thanks for sharing this honest piece. Straight from the heart. This was a long due post.. Good job!! Many more laurels to you. I think I know you beyond this blog too. Such an honest piece. I wish you all the best in life. Haters are going to hate. All we can do is ignore and move on. What we knew until now was all of it but in a gist, now comes the full story. All I can think of is, if only everyone around was half as honest and appreciative. From here, all you have to do is go higher and higher and not get distracted. Really well done on your achievements! It’s not easy being in the travel blogging sphere, especially if you want to make it. I totally relate to working (over working) on pieces, photos etc, and it feels like there’s no end in sight. A very inspiring piece, and one that makes me feel better about my own journey! I’m impressed to the core to read your blogs. Very few people uncover their true calling and have the courage to chase it. I know of you a little from IHM Lucknow but never knew you as a travel or writing enthusiast then. Your blogs are quite realistic and riveting and the view from A SOUL WINDOW is amazing. Keep going Brother and attain new heights. I can imagine how much effort you must have put to pen down your personal and professional journey in this blog. It was worth reading and pictures made it more realistic and interesting.And am glad to see my picture in it too..
Wow, you’ve been on a roller coaster for some time. Thank you for being so honest in your post. It’s refreshing for a reader like me to understand that you didn’t quit your job to travel the world like so many others propagate. You took a not-so-good situation and turned it into a successful blog and lifestyle. Bummer that your family was trying to blackmail you into taking financial help. I can totally understand and relate. Keep strong! Thank you for sharing a piece of your heart to us! You know what they say “Things happend for a reason!” and the reason for you to get fired is for you to travel! Even though is was an uncertain time for you at the begining but you made it! A big congratulation for your blogging succes! But I understand you why you want a steady job, and I hope you will find a job in the travel business! Awsme bro… It feels amazing to read such a beautiful and honest write-up. All the best and keep the good work going. This was a really cool article, I could relate to so much you were taking about. The main thing is you now have a life’s purpose, success and the rest will just fall into place! Your writing is very honest and real, I am now a fan and will be following you especially since India is my favourite place. Wow! What a great accomplishment! I would love to travel!! your story is amazing. I think that what you went through really is an inspiration! I feel like you made the best out of a bad situation and that’s something anyone should look up to… Wish you the best! This is a great accomplishment and you truly have come a long way especially after your initial struggle days. I agree, blogging is not only about traveling every month but a lot of hard work also go in the background. Congratulations on your hard work pay off 🙂 I also work full time, and do blogging but as you said no one can travel back to back and so do I, I want to travel but like to keep my full time job as well! A very inspirational post. Thanks for sharing. Thank you for sharing your personal journey. You could write a book about it! It’s great that you have supportive bloggers, friends and family around you even though there are some detractors. On another note, I speak a bit of Hindi and I would translate Ghoomta Heera as Wandering Diamond/Roaming Diamond. What a transition mann. As they say whatever happens, happens for good! I had bookmarked this from last week when I had a mere skim through it. I was waiting to read this in peace for I wanted to savor every bit of this honest piece. You have brought out your struggles and your ups and downs beautifully. Serves as an inspiration for many. Everyone of us have our own issues but to be able to look at them straight in the eye and take charge takes a lot of courage. Take a bow Abhinav for you really have really come a long way ahead! What an amazing journey you have had as blogger! As a blogger it is sometimes demotivating when things don’t as you expect. Its good to know that you had support from so many fellow bloggers. All the best for future endeavours. Wish you many such milestones. Wow a great story congratulations! What an amazing journey you have been on, just awesome! Blogging can be hard at the best of times but if it is fantastic that you have kept persevering! Well done! This story of yours was a great read. It is amazing how many people are stuck at a job they don’t want or they are trying to find themselves and they suddenly get bit by the travel bug. Though it seems you had a tragedy and you’d always enjoyed traveling. Traveling is truly an amazing thing to experience and really helps take your mind of things. Great post! A really epic and poignant account.Can feel the undercurrent of angst through the narrative. However kudos to you for coming to terms with yourself and the world. Your honesty and dedication is like a whiff of fresh air in the world of today. Please keep that going. A great story starting with lots of struggle but with a beautiful journey. Your sacrifices and hard work are now getting recognized. I can truly relate to your situation, listening to heart and following it becomes so difficult and unrecognizable. Initially people always think as if we are mentally ill or just gone mad but if we really follow our passions then nobody can stops us. So keep blogging and keep traveling…. And i am using my punch line… Travel 24 X 7 …. your feet should not stop…. This is great post about your journey to traveling and it’s awesome how you finally found a career you were happy with. It really does take hardwork and patience to get to do what you love. I was nervous for my first solo trip too, but it opened up a whole new door. Very heartwarming post Abhinav! Great job on the rise! So nice to hear this from your heart as you would probably narrate. would love to cross paths and maybe go on a trip sometime with you! All the best for 2018! I absolutely love this post Abhinav! I’m so pleased that I found you as I was looking for intriguing bloggers from India, and even though I don’t know you personally, I am delighted in your success, achievements, motivation and passion, and wish you the very best in everything you do. Just read this post and I must say your story is highly inspiring. Wish you all the best Abhinav. Keep the honesty alive always, it will take you places. My words come with a pinch of salt. Though I do not see eye to eye with many of your viewpoints, I admire your tenacity and GUTS to do your own thing. And yes you did shoot into the horizon like a firecracker and just grew bigger. Obviously, there are lots of things which you are doing right, so why care about what people snitch behind your back. Just be proud of how far you went and kudos to your phenomenal growth. Good luck and may you have more success coming your way. There is a very earthy touch to your creativity and expression, which many people connect with and in your pictures, I still see a lot of innocence and happiness in what you have got. Take care. As cliched as it may sound to you, this is so very inspiring! Good luck for all your future endeavours. This is such an honest confession.Insightful every bit of it . People do know the fame bt not struggles . Kudos !! Whoa!!! So at last i could enter the soul window and got to read the soul of soulful person. It gives me immense pride to know you a bit from college and also to follow your write-ups. I hope you know me, coz its difficult to forget the name- KARAN SHARMA from IHM Lucknow :P. Great story Abhinav, i must say, and i just want to wish all the success in life. Keep writing, and keep up the soulful work always on. God bless buddy. your story is great bro! And thanks your shared it with us, you truly inspired me now. This is the first time I am reading a post from you and I am really amazed and motivated by your travel stories. I am looking forward to read more from you. I’ve only been to northern India – sooo much more to experience in this great country. I have been exploring Bharat aka India since 10 years. I have been to more than 200 places and still so much left to see. One lifetime is not enough!